THAT GIRL: "I want to use my music to encourage the ladies to be independent and look out for themselves," offers the 25-year-old new artiste. TO earn a living and pay her bills, Shanekia Morrison works as a compliance officer at the Kingston & St. Andrew Municipal Council, but Jamaica knows her as Suspense, the lightning-rod deejay who emerged winner of the recently concluded season of Magnum Kings & Queens of Dancehall, the televised talent show and ratings powerhouse that’s given her the launching-pad she’s always dreamed of. On stage, the 25-year-old St. Mary’s College graduate (and doting single mom) combines the feisty energy of Tifa with the lyrical edginess of the original Lady Saw. But in person? She’s way more sugar than spice. 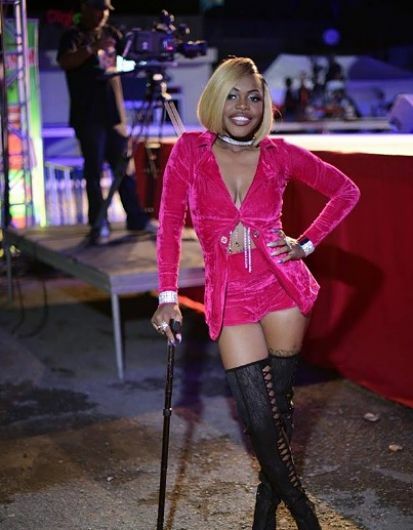 TALLAWAH caught up with the chameleonic entertainer in Montego Bay recently to hear about her continuing rise to stardom, bouncing back from a near-fatal car accident, and her plans for the future. TALLAWAH: You seem to have a certain respect for independent women, which has won you a lot of female fans over the course of the past few months. Suspense: It’s never good when a woman can’t fend for herself and has to depend on a man and tolerate all kinds of disrespect. As a female, I want to use my music to encourage the ladies to be independent and look out for themselves as much as possible. I’ve been working since I was 16, and I still strive to be independent. TALLAWAH: Amen. Being a new artiste in the dancehall will send numerous challenges your way. What’s the craziest rumour you’ve heard about yourself so far? Suspense: Well, I haven’t heard anything seriously negative, but during the competition, they were saying that Rankin’ Pumpkin and I don’t get along, which is not true. We were competing to win. And people like to say I’m hype and arrogant, but it’s not hype; it’s confidence. There is a big difference. TALLAWAH: What’s the biggest challenge you’ve had to overcome since embarking on a music career? Suspense: The biggest challenge so far was campaigning for support [during the competition] while working. And I had to be writing new songs every week and taking care of my five-year-old son [Tijaun Tobias]. And then I had an accident [a vehicular crash a month ago]. I was badly bruised and in a lot of pain, and I was worried if they were going to accept me when I [returned to the competition]. It was a very challenging time for me. TALLAWAH: You’ve certainly bounced back in fine style, earning respect from some of the veterans in the industry. Who are you dying to collaborate with in the studio? Suspense: I really want to work with Aidonia, as a male, and Spice, as a female. 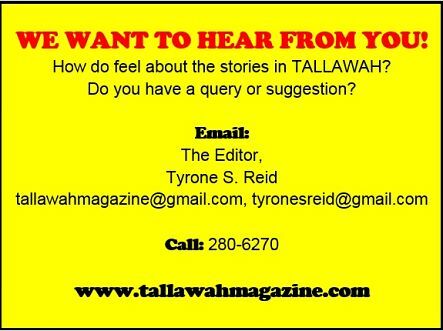 TALLAWAH: Speaking of dancehall vixens, Ishawna’s “Equal Rights” is still a hot topic in the court of public opinion. What’s your take on the hullabaloo? Suspense: I haven’t listened to the song in full, but from what I’ve heard she is extremely right. And I don’t think they should bash her because you have male artistes like Vybz Kartel and Alkaline who are singing about similar topics. I think people are taking it too seriously. She was having fun with it. TALLAWAH: So looking ahead, what do you ultimately want to achieve career-wise? Suspense: I want to keep writing my own songs. I also design my own clothes, and I’m hoping to launch Suspense Designs in the near future. I want to give back. I love kids, so I’ll be doing a lot of charity shows. But the main thing I want to do is get out there and build my brand.